Grew up with KK Maribor (Slovenia) juniors. Signed by BC Olimpija Ljubljana for the 1997-98 season. Moved back to KK Maribor for the 1998-99 season. Signed for the 1999-00 season by Pivovarna Lasko. Moved to Italy for the 2000-01 season with Pallacanestro Treviso. Signed for the 2002-03 season by Houston Rockets. Signed by New Orleans Hornets. Signed for the 2005-06 season by New Jersey Nets. Moved to Russia for the 2011-12 season, on January'12, signed by Unics Kazan. 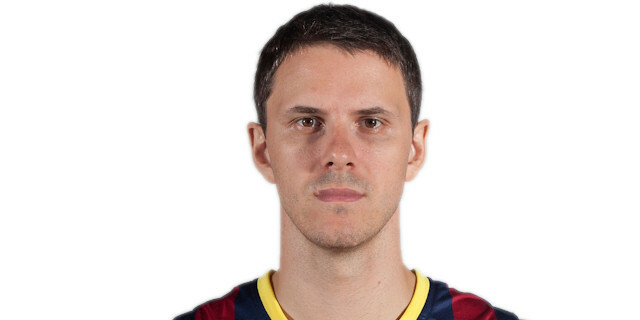 Named 2013-14 Euroleague Round 7 MVP. Named to the 2008-09 All-Eurocup First Team. Won the 1997-98 Slovenian National Championship with BC Olimpija Ljubljana..won the 2012-13 German National Championship with Brose Baskets Bamberg. .won the 2013-14 Spanish National Championship with FC Barcelona. Won the 2001 Italian Super Cup with Pallacanestro Treviso. Played the 1999 and 2000 Slovenian All Star Game. Selected for the World Team, played at the 1999 and 2000 Nike Hoop Summit. Member of the U-20 and U-22 Slovenian National Team. Played at the 2005, 2009 and 2013 European Championships.